The Federal Communications Commission once again delayed decision Friday on a pair of potentially huge mergers that would affect millions of TV and broadband viewers and casts doubt on whether the mega-deals will ever receive governmental approval. In a public notice, the FCC said it will "pause" its informal 180-day clock -- the commission's timeline to review such applications -- on two mergers, one involving Comcast (CCV)and Time Warner Cable (TWC), and the other involving AT&T (T) and DirecTV (DTV). The commission paused while a federal court hears arguments on a technical issue that could affect legal maneuvering in the merger talks. For the companies involved, it must feel like a rerun. The FCC paused the clock on the Comcast-TWC merger last October and again in December. It restarted the review clock in January. The federal agency also paused the review clock on the AT&T-DirecTV merger in October. Both deals were struck last year. Comcast announced last February that it intended to buy Time Warner Cable, the second largest supplier of cable television in the United States, for $45 billion. If the deal is approved, the new Comcast will become a powerhouse in television and Internet services. The consolidation trend continued last May, when AT&T said that it had agreed to buy DirecTV for $49 billion. That deal would make the newly combined company the second largest provider of television subscribers -- ranked only behind a merged Comcast-TWC. The Comcast-TWC deal has caused considerable alarm among many consumer activist groups. On Thursday, Comcast published a blog post on its corporate website that took aim at a group devoted to halting the deal. 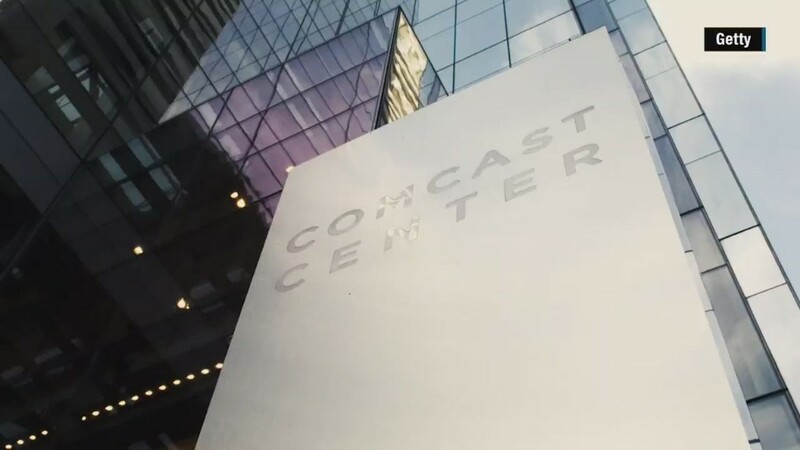 The group, "Stop Mega Comcast," has argued that the merger will leave too much "power concentrated in a single entity" and that Comcast "has a well-established record of abusing its market power, ignoring merger conditions and providing historically bad service to its customers." In its rebuttal, Comcast acknowledged that there are "legitimate issues" that arise from the deal, but said the "benefits of this transaction remain undisputed -- more people will get faster broadband and advanced video services."